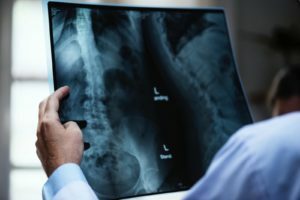 Radiologists are medical doctors with a specialty in diagnosing and treating injuries and diseases using radiology procedures such as X-rays, magnetic resonance imaging (MRI), and computed tomography (CT). Like any other medical professional, radiologists can be guilty of medical malpractice. Discover the four most common causes of medical neglect among radiologists, and call Cardaro & Peek to discuss your case today. Radiologists are responsible for analyzing medical images to diagnose and treat conditions. When a radiologist fails to diagnose a patient correctly, or promptly, the patient could suffer adverse reactions. An absent diagnosis could even lead to wrongful death, in which case the surviving family members may seek legal remedies. Misdiagnosis, or inaccurate diagnosis, is another example of medical neglect. If the radiologist misdiagnoses a patient when another radiologist would be able to diagnose the patient without error, her or she may be considered negligent. Misdiagnosis can result in delayed care, which could be fatal for patients with severe conditions. Radiologists rely on specialized equipment to diagnose and treat patients. This highly sensitive equipment needs to be maintained regularly and operated without error. If a radiologist fails to diagnose a patient correctly due to an equipment error, it could be the fault of the doctor or the responsibility of the hospital. While it’s common for medication errors to occur at pharmacies, instances also happen in the radiology department. At times, radiologists must administer certain medications to patients during or after the appointment. Medication errors occur when the radiologist administers the incorrect amount or fails to ensure that a patient with a particular condition receives a necessary medication. Do you believe that your loved one has suffered as a result of medical malpractice or medical neglect? You need to talk to an experienced team of local lawyers today. This entry was posted on Friday, February 1st, 2019 at 1:38 pm. Both comments and pings are currently closed.